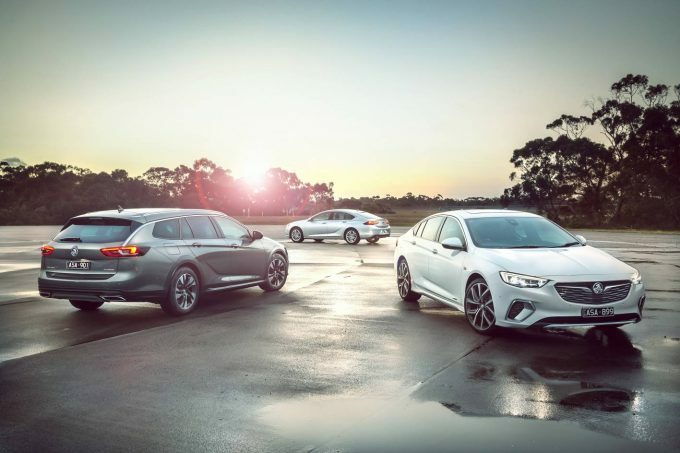 Of every new vehicle launched in the last 12 months(or more), none has generated as much discussion, controversy and terabytes of vitriol as the 2018 Holden Commodore. As we were driving the VXR, we drew looks, stares, points and people talking like nothing else we’ve driven recently. The passion surrounding the car is understandable. 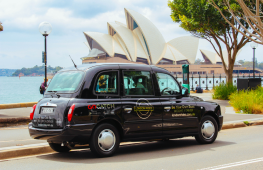 It symbolically carries the weight of Holden’s decision to exit local manufacturing in 2017, but the company says there was still significant local input, with 200,000km of local testing carried out to optimise the car for local conditions. Even this writer, a born enthusiast of Australian metal, had reservations about calling the car ‘Commodore’. It’s understandable why Holden took this decision. 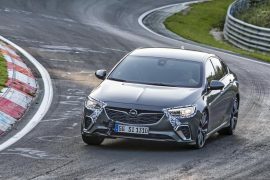 To non-V8 customers, Commodore has been a byword for ‘family car.’ With the dimensions of the second-generation Opel Insignia approaching that of previous Commodores, it was not that much of a stretch size-wise. 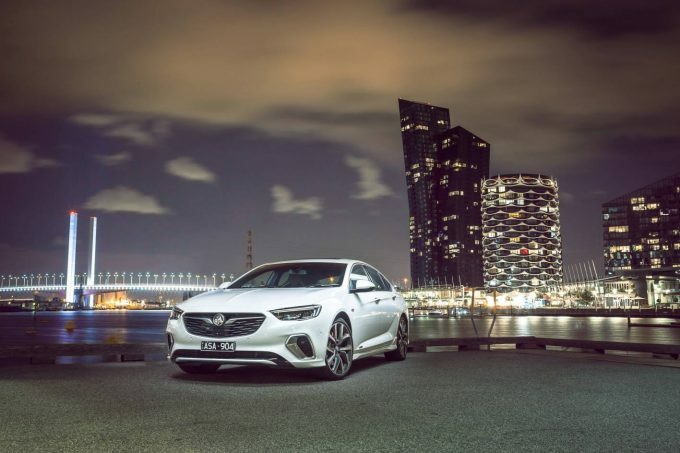 So does this new, very different Commodore have what it takes to win over a cynic? Also, how does it stack up as a family car in an increasingly SUV-centric world? 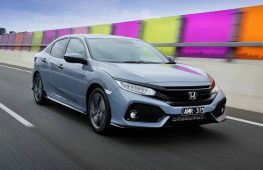 Being a hatchback design rather than a sedan (a wagon is also available in other models), the 490 litre boot is shallower than its sedan predecessor, but seems wider and longer. Split-fold rear seats increase that to 1490L- better than the old ski port. At 4897mm long, 1863mm wide, on a wheelbase of 2829mm, room for five is generous, with maybe a barely noticeable reduction in middle rear passenger room. Rear headroom manages to be decent, despite the sweeping roofline with anyone up to about 6′ 2” generously accommodated. Seating is firmer than before but the seats are adjustable in many ways, including a squab extension for long journeys. The little badge on the side which reads ‘Aktion Gesunder Rücken (Campaign for Healthier Backs)’ means the firm backrest is designed for good posture over long trips. Heating and cooling functions are a definite plus in Australia’s changeable climate. There’s even a massage function if you’re feeling particularly stressed-out on your daily commute. 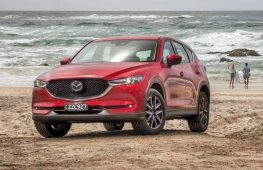 While Holden’s MyLink system with Android Auto and Apple CarPlay was almost infallible, the navigation system would benefit from speed camera alerts like those found in some Mazda models, but the crisp heads-up display (HUD) is most welcome indeed. Those who are used to the way certain switches like wipers, mirrors, cruise control switches operate in earlier Commodores will need to re-learn for this car but that doesn’t take long. The Bose stereo system was an absolute bass-thumper, with decently crisp high and mid-range to boot. 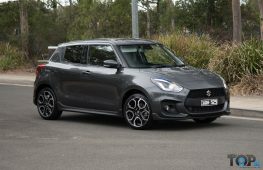 The thick A-pillar that blighted older models is mercifully gone, but the hatchback form is a bit disorienting in parking, not assisted by the somewhat cumbersome turning circle. Forward and reverse cameras and sensors do help you get around this adjustment rather quickly, however. The absence of a rear wiper in this model was annoying during a torrential downpour. Compared with the muscular, timeless design of the VE and VF that preceed it, the ZB is arguably not as bold and purposeful on the road. 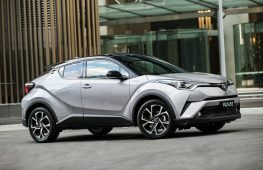 What it does have up its sleeve are crisp, contemporary lines and upmarket details such as the Matrix LED headlamps, 3D textured grille pattern and, on this model, 20-inch alloys. Looks are a subjective thing, but it does look better in the metal than pictures suggest. The VXR’s vertical air intake ‘fangs’ at the front also add visual appeal that is lacking on lower models. The interior makes good use of space and has that ‘big car’ feel. Switchgear is very neat and well arranged, with none of the quality issues from other, earlier test drive reports apparent. 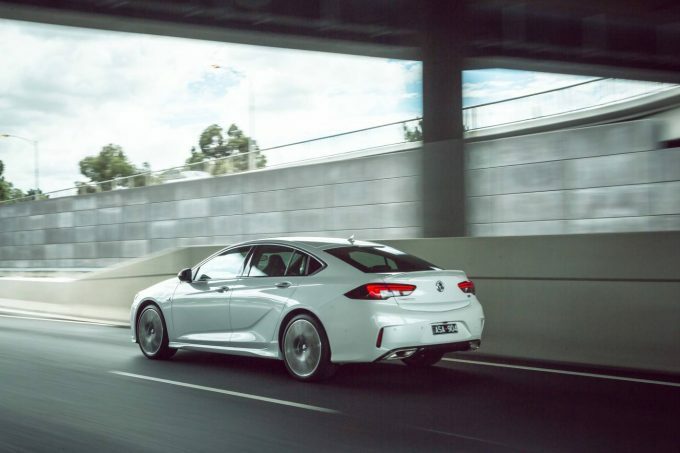 With 235kW @6800rpm and 381Nm at a heady 5200rpm, the 3.6-litre ‘LGX’ V6 engine has solid performance numbers, albeit without the low down torque prevoius Commodore V6’s are renowned for. Oddly, its the four-cylinder turbo petrol and diesel variants that better serve that purpose. In the VXR, the V6 engine has a deep and lusty exhaust note that puts the old ‘Hoover’ Alloytec in the shade. 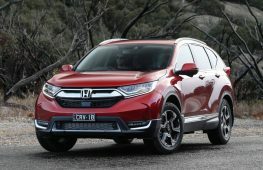 While this engine certainly has a rewarding top-end over 7000rpm, maybe the version that does duty in the US-market Colorado with a 1200rpm lower peak torque figure would be more ideal. Sport and ‘VXR’ modes unleash the best of the motor, without being overly frenetic. The availbility of a 2100kg towing kit is more-or-less on par with its predecessor, which is handy. 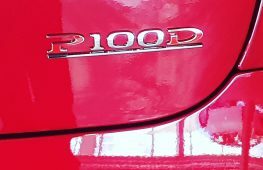 A nine-speed automatic with paddle shifters is the sole gearbox on offer, but it is state of the art and doesn’t hunt for ratios like some other nine-speeders. It intelligently skips gear to keep you in the meat of the car’s torque, and intuitively finds the right gear for enthusiastic cornering. Speaking of cornering, the VXR hunts esses with a deft agility that no Commodore could manage before. The steering is always pleasingly light, but still direct and feelsome, meaning you never feel the car’s 1737kg bulk. The combination of adapative dampers and the all-wheel drive grip makes it extremely hard to provoke oversteer. It’s not impossible, but this isn’t a rear-wheel drive car anymore. Once you learn how to get the most out of the car, a lot of fun can be had. The use of Michelin Pilot Super Sports aid in cornering tactility and add yet another layer of reassurance. The Brembo brakes- 345mm vented discs clasped by four-piston calipers front and 315mm vented discs with single-piston caliper rear- are well modulated, without the initial sharpness of many European cars, but pull the car up effectively every time. It might not have the outright speed of the old SS, but the cornering and handling adds another level of appeal that makes you grin. 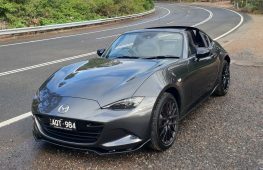 The trade-off for that handling prowess is a ride that is a tad too harsh at low speed, but otherwise firm, yet acceptable. Wind, tyre and cabin noise were superbly insulated, a noticeable improvement over the already pretty-good VF. We suspect the lower-spec models such as RS and LT might be more forgiving in the ride department with their higher-profile tyres, but the strength of the chassis means that even on 20s in its most sporting spec, that low-speed complaint is very minor. The 9.3L/100km quoted figure for the V6-powered VXR is noticeably higher than the 7.4L/100km of the turbo four-cylinder, let alone the 5.6L/100km of the diesel. Not to mention the 61-litre fuel capacity is some 12 less than before, giving the car a less-than-ideal range. 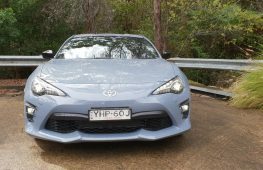 On freeway driving, the VXR dropped into low sevens, but in mixed conditions, 10.2 was pretty good considering the slight paucity of low-down torque. Stop-start helps in heavy traffic conditions, but is otherwise a nuisance. Good thing it can be switched off. This is an area where the VXR excels. 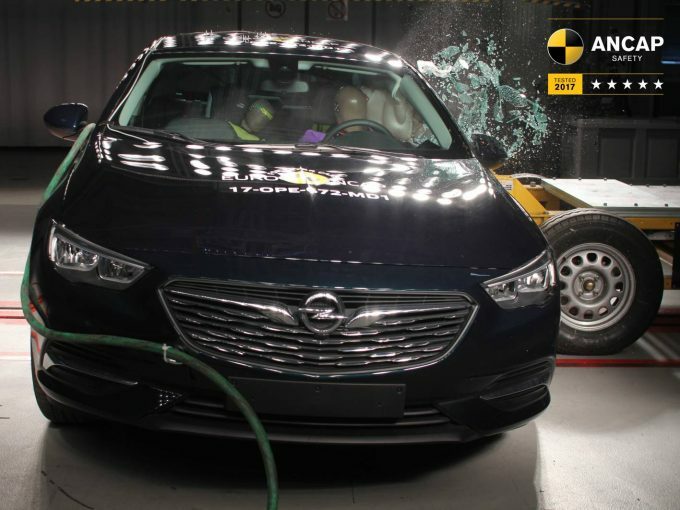 Not only does it have a five star ANCAP rating, but it also has autonomous emergency braking, blind spot monitoring, adaptive cruise control, rear cross-traffic alert, lane keep assist, so it is not wanting in any way on the active or passive safety front. Those huge brakes make crash avoidance easier too. At $55,990, it is asking a fair bit for a niche which used to be occupied by the SS V Redline. It has many features the old model didn’t, such as the active driving assistance, all-wheel drive, to name a few, and while it doesn’t thrill on the straight-line speed front, it drives and corners with a newfound finesse that puts it up there with BMW and Audi for a polished driving experience. 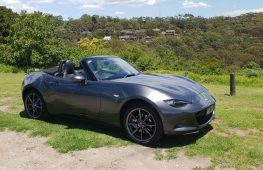 We totally get the cynicism from some quarters surrounding this car, and as mentioned earlier, it was a view shared with this writer. 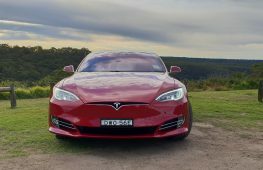 It would be ideal if the car was still made in Adelaide, but that ship has sailed and it’s unlikely to change so there’s no use whinging about it. At first the unfamiliar elements jarred and didn’t seem to gel, but this is a car that really grows on you and makes more sense with familiarity. There is not much it doesn’t do as well or better than the old car, except maybe single-peggers, mainies and the thunderous V8 roar. It also compares very favourably to its direct rival, the Ford Mondeo- neither it nor its rivals Mazda6, Hyundai Sonata offer a V6. 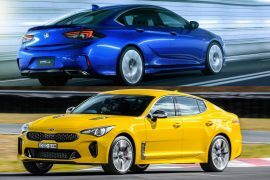 Only the Toyota Camry or the twin-turbocharged Kia Stinger do. But when you get past that, there is a wealth of new talents on offer if you are open to the experience. It’s a well-built, premium German car with a driving enthusiast focus, and the only midsize car that is available with a big-bore V6 engine. Previous six-cylinder (and some V8) customers are advised to put their prejudice aside and give it a good chance, because, in our view, it deserves one.